For the man who loves a classic look, a vintage-inspired designer ring. This elegant 14K white gold wedding band for men has a carved "arrow" center framed by milgrain beading and finished with polished edges. 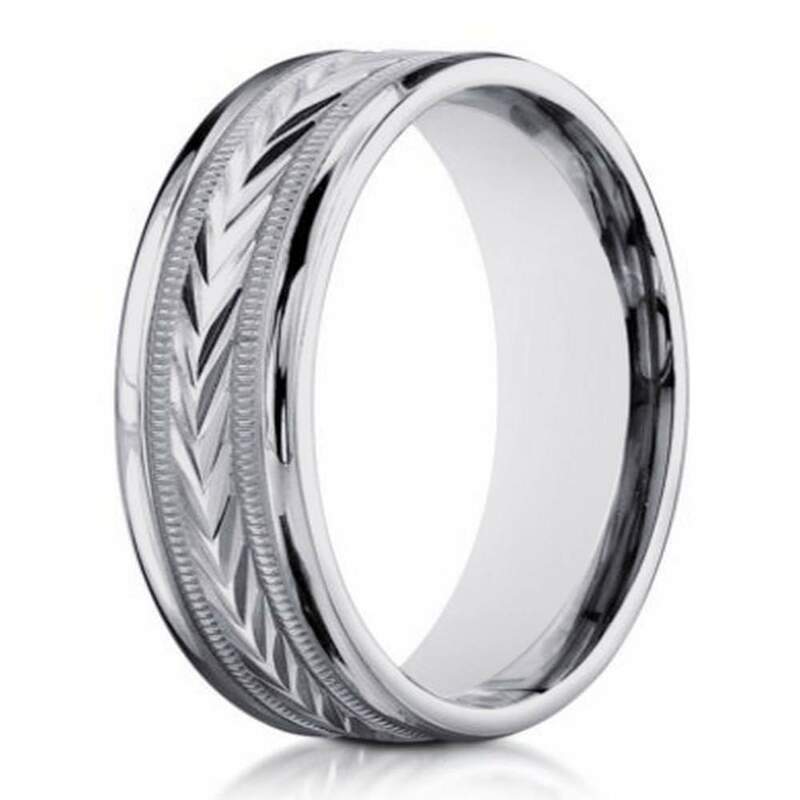 A flat profile and 6mm comfort fit band keep this handsome ring modern. Comfort fit rings usually measure 1/2 size smaller due to the additional metal inside the ring. We recommend having your finger measured for a comfort fit ring at your local jewelry store. Limited Time: One Size 10 Ring Left at $299.95! Ring used for Photography Only- in Perfect Condition.